Narrator: "The year is 1997. IT IS THE FUTURE. Premier Zlobni's USSR holds the world hostage with its arsenal of deadly doomsday weapons. President Steel says: "Come at me Comrade!". His challenge of a bare knuckle fight to decide the outcome of the war has thus far been ignored. America lands a man on Mercury. The Disputed Zone Mercenaries win the Superbowl. The hard working scientists at the Real Institute of Tobacco and Firearm studies create a cigarette with EVEN MORE great taste. The town of Podunkville KS. 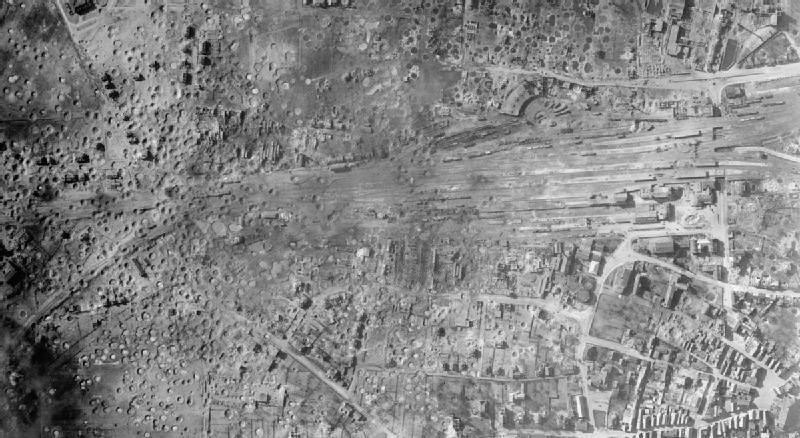 We can clearly see the carnage from these declassified aerial photographs. Anton Knight firmly smacked the back of a small radio as the weekly lottery drawing faded in and out of coherence. It was somewhat dark around him and he had to squint to see the dial clearly. What little light came in through the grimy windows only served as mood enhancement. Behind him the sound of glass on wood rang out loud and clear, causing him to lose the station just as the first number was announced. "Hey man! You gotta pay for that!!" Anton yelled at the back of a drunk patron, "Yo meathead! You paying??" An older, grayer fellow poked his head out from the kitchen with a fistful of lottery tickets and glared at Anton who nodded toward the drunk. Rummaging through his pockets, the drunk managed to grab a few coins and haphazardly tossed them onto the floor before throwing Anton a bird in the air. He left the bar. "Right... do your thing, boy." the older man grumbled to Anton and stepped in to cover the bar. Meanwhile, Anton had wandered around to the front of the bar and was examining the spare change. "Canadian..." he mumbled, his rage coming to a head. Outside a motorcycle roared to life and Anton was off. With a running start he burst out the front door and dove at the freeloader who was trying to put his helmet on. Putting down the cleaning tools, Nigel went to stretch his legs. He wondered around the small room, absent-mindedly checking the other workstations for dust. He sat back down and was about to pull out the next fossil to clean when Mister Smith cleared his throat. After comically not-quite-dropping the rock, he turned around to see the serious-looking man. "Mister Smith. I didn't hear you come in." "Sorry about that." It wasn't a supernatural power, Mister Smith just moved very quietly. So he says. "We have a new assignment for you. How did you find America?" 8 months ago, deep in the Pacific North West, hunting a hungry sasquatch that had already mauled one family and was getting dangerously close to a small town. 'Bear' just wouldn't cut it this time. There was a lot of rain and the local he had been paired with had a twitchy-trigger finger and awful eyesight. "It was alright." "Good. Ever been to Kansas?" "Well, now you get visit it. Something happened in the town of Podunkville." Mister Smith handed him the photographs. "You've been selected to investigate. Your plane leaves in an hour." "Wouldn't it be better to ask someone from the Simthso-" When Nigel looked up, Mister Smith was gone. He looked back at the photographs. What was he looking at? Something to figure out on the plane, he supposed. MIC waited in the bar parking lot, as it did so often of a night, trying to while away the hours between between cases. 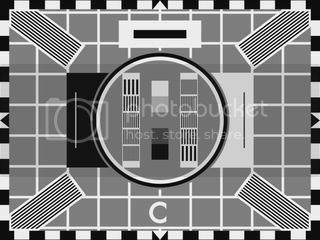 None of the local stations were reporting anything of interest, and all of its HAM radio contacts had signed off for the night. Lacking a fleetingly fascinating mystery to focus it's mighty intellect upon, it started calculating burn trajectories to bring various orbiting satellites down on the bar. Purely as a hypothetical exercise, of course. Just as it was sorting out a hypothetical algorithm to access the hypothetical thruster controls for a hypothetical spy satellite that was in the right orbit, it noted Jonathan stumble out of the bar. No hanger on this time, at least. They always got suspicious when the motorcycle started driving itself (MIC wasn't about to entrust it's well being to a barely ambulatory mooch). A moment later, as its erstwhile owner struggled into his helmet, someone ran out the door and threw themselves at the bike. Strange, MIC considered, running the numbers on their savings even as the man was in flight, we should still have funds left from Studebaker job back in Toronto... Ah, Canadian, of course. Silly me. As much as it was sure Jonathan deserved whatever thrashing was on the way, MIC's hardcoding was very clear about allowing harm to befall its creator's heir. It rolled back seventeen and a half inches and allowed the attacker to fall squarely on its handlebars. He wasn't sure whether his target moved or the motorcycle had moved, but Anton couldn't help but think he saw the bike moving. Either way he crashed into the bike and bashed his head on the headlight hard enough to give a man a concussion. Anton slumped to the ground and groaned. Uneasily, he got back up to his feet using the motorcycle as a makeshift ladder. A small bit of blood trickled down the bartender's face from somewhere near his hairline. He turned toward the biker and pointed at him menacingly. "Time to pay up, buddy. You had four beers, that's 70 bucks! American." Anton lowered his pointer and laid his hand instead on the motorcycle's handlebars. "If you don't pay I'm taking the bike. Let's go." MIC revved it's motor warningly. They were not going to be running the pawn shop scheme if it could be avoid. Motorcycles breaking themselves out of garages attracted far more attention than they wanted. Jonathan, meanwhile, shook himself into a state that roughly approximated sobriety. Someone was asking for money that he didn't have, which meant it was time to turn on the charm. "Okay, right off the bat, that beer was way overpriced," he began, because even if it didn't put him in the guy's good graces it was true, "and sure as hell wasn't worth as much as this bike. And uh..." Inspiration struck him and he groped at his wrist for a moment before coming away with a strip of gold. "I don't suppose you'd take a Rolex?" Or at least he thought it was a Rolex. The vendor had been very convincing. It was a cool night—at least that's how SB-5 guessed a human would have interpreted the reading on his thermometer. The junkyard was closed for the evening and all of his robots were either stored for the night or patrolling the perimeter. So, he sat in the office alone. It wasn't a big office, just a single desk and chair, with a couple of seats opposite for visitors to sit in. Three of the office's four wall had windows—shades drawn—with the front one also containing a glass door reading "Bob's Junk & Scrap Yard" in cracked navy blue paint. The fluorescent glow of the desk lamp cast his flickering silhouette on the wall behind him. His detached right forearm lay on the desk before him. With his left hand, he expertly removed the outer casing and set it aside. Carefully, he soldered in a new piece of hardware he had repurposed from an old electronic scale. When he was satisfied with his handiwork, he set about reattaching the casing and fastened the arm back into his elbow. After he finished, he reached over and grabbed a drafting compass from the pen-laden coffee mug to his left. He brought the sharp tip down onto the end of his right index finger. He let out a sharp robotic gasp. I can feel, he thought. Then, he did the same thing to his left arm. An average sized, mild skinned and balding gentleman finished off his cigarette with a final, deep puff. His brown leather jacket and blue jeans were dirty with soot and dust from a days work out in a local mine. Most of his finger tips were black and numb, small to large burn scars dotting his visible hand and neck. Pushing himself off from the wall of the bar he'd been leaning on, he approached the two disputing men. His red eyes took a quick glance at the watch and his eyebrows peaked. With a raspy voice, he motioned to the bartender, "Say Anton, what say you just let me settle this? I give you sixty, and he gives me the watch." Not really caring for a response James poached the watch from the drunken stranger and handed the part time bartender three twenties. Stepping back, James slapped the blue-green watch onto his wrist and smiled wryly. Stroking his brown goatee-mustache combo, James gave a quick look at the chopper the drunk rode in on and warned, "Hey, you know your bike sure is running hot for being off. It's like nothing I've ever seen, honestly. You might want to get that looked into..." He then extended his hand, "I could look into it for you, James Redman." Anton reached down and grabbed James' wrist. "The dial is all wrong." he mumbled, tapping the clear glass crystal. "I'm a bartender at night and a used car salesman by day... I've seen my share of fakes. Usually people trying to skip out on the bill..." Anton cleared his throat and looked at the biker. "But it's a good fake. As long as you're okay with it, Jim. It's probably worth about fifty-sixty bucks anyway." Reaching into his back pocket, Anton grabbed his washrag and wiped the blood from his face. "So..."
Scrunching his face a bit, James retracted his hand from the drunken biker as Anton finished his appraisal. "I see, well this should at the least make a nice timer should a situation call for it." Looking back down at his wrist he cocked his head slightly and shrugged, adding with a chuckle, "I'm just more or less pleased there's a wrist watch I can actually make out the time." Crossing his arms now, James turned back to the drunken swindler, "I'm still willing to take a look at that bike of yours, I wouldn't recommend taking such a hot piece of machinery home just like that; who's to say what being off at that temp is doing to those parts." "Right, well... have fun guys. It's been a pleasure." And with that, Anton turned and headed back toward the front door. Narrator: "Reaching forward to open the door to his place of work, Anton's ears fill with a menacing roar from above as a decommissioned soviet satellite, mysteriously torn from its orbit, strikes the bar square on! Blown back by an almighty wave of pressurised air, bar rubble, and shards of old liquor bottles Anton falls head over heels!" James could hardly react as he heard a whistling sound rapidly become a screech as the satellite raced towards the bar. With a sudden motion, James dove to the ground pulling Jonathan with him as debris shot out from the impact site. The sound of a shattered glass echoed throughout the area. Looking down James cursed, the watch face too, had been cracked and made untenable. Able to make out a lump of red and orange, James called out "Anton? Anton you still with us?!" Anton was sitting at a small desk in his room. From down the hallway he could hear his sister singing along to the newest Ronnie Reagan single on her record player. Bobbing his head to the beat, Anton grabbed a big box of crayons. It was one of those ones that came with the sharpener in the back. Not only was it one of his favorite things in the world, Anton was the coolest kid in his class when he brought it with him. He grabbed red (though it was actually more of a salmon) and began to color in the apples on the tree in his picture. He was standing under it along with his parents and sister and they were smiling. As he went to put the finishing touches on his picture a sneeze welled up in his throat and everything went dark. Now he was standing by the hallway window with his big sister. Her record was still spinning away but she wasn't singing any longer. Instead they were both staring at a small trail of black smoke in the distance. "What is it?" he asked. His sister did not answer. Suddenly a white flash engulfed the smoke trail and grew rapidly until their whole town was lost to sight. Continuing to watch, Anton grabbed his sister around the waist and held her. Their shadows were stark against the wall behind them, though neither ever noticed. And then all in an instant he heard himself and his sister screaming and the sound of glass, wood, and everything else shattering. Anton bolted upright with wide eyes and tried to get his bearings. He was holding a door handle. A hot door handle. "****!!" Tossing the handle away, Anton's memory began to come back to him. He was at the bar. There was a drunk. The bike. Jim was there. The lottery numbers were being drawn. The old man!! He had been in the bar. Anton clawed at the ground and pulled himself out from under a piece of sheet metal that had once been the roof, then clamored to his feet and promptly fell back down. Something hurt. That wasn't normal. He looked down at his leg and spied a small golden shimmer from just below his knee. It was the dial of a Timex watch. Anton grabbed it with his thumb and index finger and slowly tugged on it. There was more. Gritting his teeth the bartender yanked the shrapnel out of his leg and looked at it. It wasn't a Timex. It was a fake Rolex. "Anton? Anton you still with us?!" "H-hey! Jim is that you? You alright?" Anton yelled hoarsely, looking around for movement. His body was pocked with bits of glass and metal but Anton didn't seem to notice, though it was doubtful that anyone else would miss it. He was bleeding pretty badly. "I found your watch... I uh... I don't think the old man got out of this one." SB-5 had just finished reattaching his left forearm when he heard what sounded like a distant explosion. That was odd, he thought. He calmly reached over and turned off the lamp. The incandescent glow of the junkyard light poles created thin strips of light where it passed through the gaps between the shades and the windows. He stood up, walked quietly over to the leftmost window, and peered discreetly outside. He didn't know what could have caused that explosion, but he wasn't going to let it surprise him. He stood there watching, listening.